New video public service announcements target South Asian voters with a spoof a spelling bee. (CNN) - Two things you should know about South Asians: They are one of the fastest-growing populations in the United States and they win spelling bees. Put the two together in an election year and what you get is a series of public service videos aimed at drawing South Asians to the polls. And they do it by poking fun at their own spelling prowess - nine of the last 13 Scripps National Spelling Bee winners have been South Asian. The "Bee a Winner" videos feature six South Asian actors - including Parvesh Cheena of "Outsourced" and Sonal Shal of "Scrubs" - in a mock “14th Annual Desi Spelling Bee.” Each word they have to spell tackles an issue of civic engagement like "undecided" or "caucus." "We came up with the idea of the spelling bee because it speaks to the aspect of the model South Asian," producer Sohini Sengupta said. She said getting out the vote was the first step to political empowerment for South Asians. Directed by indie filmmaker Tanuj Chopra, the videos were funded by 18 Million Rising, a social media campaign encouraging Asian-Americans to get more politically involved. The spelling bee videos were posted on actress Kosha Patel's YouTube channel. 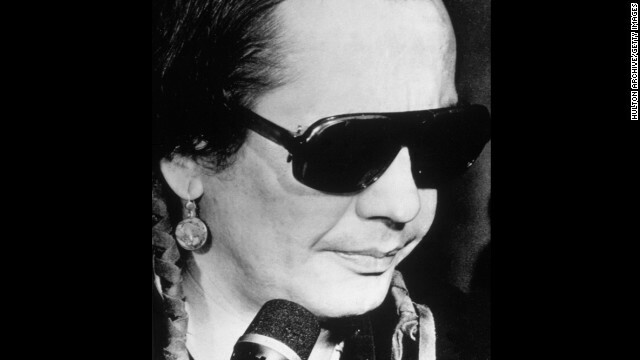 Russell Means, who led a 1973 uprising at Wounded Knee in South Dakota, died Monday. (CNN) - Native American activist Russell Means died early Monday from throat cancer, an Oglala Lakota Sioux nation representative said. Tekakwitha the first Native American saint. Another newly named saint is Marianne Cope, a German-born woman who emigrated to the United States as a child, became a nun and went on to devote 30 years of her life helping lepers in Hawaii. 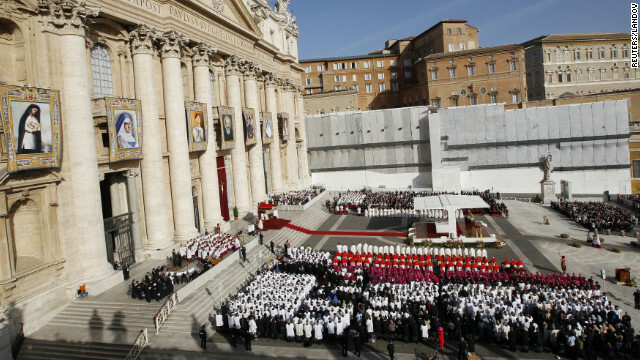 Their canonization, along with that of five other saints, was celebrated at a special Mass in St. Peter's Square Sunday morning. "This is a great weekend for America in the Vatican, and it's really a great weekend for Native Americans. Sainthood is the guarantee that this person is close to God," said Vatican senior communications adviser Greg Burke. "There's a vast history of people the Catholic Church has made saints over the centuries. Holiness is absolutely a matter of equal opportunity, but this certainly is special because it marks the first time a Native American becomes a saint." (CNN) - Move over Pocahontas and Mulan. Sofia está aquí. Disney's first Latina princess, featured in the movie "Sofia the First: Once Upon A Princess," has received backlash as well as support from media outlets, especially the Latino community. Is Disney's new princess a milestone for Latinos or a culturally irrelevant character? "The range of characters in 'Sofia the First' - and the actors who play them - are a reflection of Disney's commitment to diverse, multicultural and inclusive storytelling, and the wonderful early reaction to 'Sofia' affirms that commitment. In the story, Sofia's mother, Queen Miranda, was born in a fictitious land, Galdiz, a place with Latin influences. Miranda met Sofia's father, Birk Balthazar, who hailed from the kingdom of Freezenberg, and together they moved to Enchancia, where Sofia was born." "Sofia the First" is a television movie and series set to debut November 18 on the Disney Channel and Disney Junior, aimed at children ages 2-7.